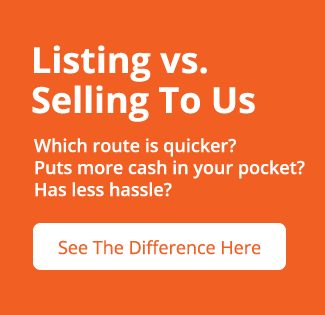 Need To Sell Your Kern County, CA House Fast? We Buy Houses in Kern County, CA. We buy Kern County, CA houses in any condition! We pay cash. That means you pay no commissions, no real estate agent fees, and no extra fees of any kind. Enter your address and e-mail below then answer a few quick questions on the next page to get a fair cash offer in 24 hours or less. If you need to sell your house fast in Kern County, CA, it can be a frustrating experience. What do you do first? Where do you turn? Do you really need to work with a realtor? These are just some of the questions you’ll need to answer. There’s good news, though. Central Valley House Buyers can make the process simpler, faster and less stressful. Our team of experts has years of experience in not just the national real estate industry, but in the California real estate market. Our team will help guide you through the process, ensuring that you’re able to enjoy a fast house sale in Kern County, CA. Repairs: Sometimes, a home can deteriorate to the point that repairing it just isn’t worth it to you, personally. Selling your Kern County, CA home is the best option at this point. These are just a few of the many reasons you might be asking yourself, “How do I sell my house fast in Kern County, CA”. Others include avoiding potential foreclosure, to take advantage of a limited-time job offer elsewhere, and more. Whatever the case might be for you, Central Valley House Buyers can help! We are not a referral network; we are local Central Valley real estate investors that have created the most effective way to help homeowners sell their houses quickly, at a fair price, for cash. Selling your Kern County house, CA can be expensive and complicated. When you need to sell your house in Kern County, CA, fast, you don’t want to deal with any unnecessary hassles or holdups. Our process is very simple. We guarantee an expedient process, with less stress and no hassles. All we need to get started is a bit of information about your home, and then we’ll contact you to discuss the next step. Once we’ve assessed your home, we’ll make you a fair offer. In most cases, we can close in as little as 7 days. Our mission to make your life easier by providing best services to you, to help you sell your house fast no matter the situation or condition of the property. Sell Your Property: Ready to get started? Just fill out the property form below, or you can call our office directly at (559) 578-3200. We also buy properties in Fresno County, Kings County, Tulare County, Madera County, Merced County, Stanislaus County, San Luis Obispo County and all throughout the Central Valley area. If you have a commercial property you’re looking to sell in Ca, in particular the Kern County area, start by giving us a bit of information about your property and emailing us through our contact page. You may also call or Text Us (559) 578-3200.